The poinsettia is a beautiful blooming house plant, which is particularly popular during the holiday season, where it is a wonderful addition to festive home decoration. Poinsettias will provide a colorful display for several months if cared for correctly. This article will outline how to choose and care for a poinsettia plant correctly to enable you to enjoy them for as long as possible. Water Water when top of soil is dry. Ensure good drainage. Toxicity Mildly-toxic. Milk sap can cause contact dermatitis. Examine your poinsettia carefully before purchasing, as this will ensure that you pick a healthy plant that will thrive and provide color in your home for as long as possible. Examine the soil of the plant to ensure that it has been watered. Poinsettias like soil that is lightly moist at all times. Look at the small yellow flowers in the middle of the plant to ensure they are still in bud form. This will ensure that the poinsettia is nearer the start of it’s colorful display than the end. Poinsettias should be kept in a warm area away from drafts, so make sure that the poinsettia you purchase from the store is on display in suitable conditions. Excessive cold or draughts can cause leaf drop to occur within days, so it is important to confirm that your plant has been looked after well in the store. Beneath the layer of colorful leaves surrounding the flowers, there should be several layers of healthy green leaves. Avoid plants that have damaged lower leaves or evidence of previous leaf drop. Make sure that your poinsettia is wrapped up well when you purchase it to protect it physically for the journey home. Poinsettias are fairly delicate plants, and careful transport home will ensure that your plant looks as good in your house as it did in the store. Poinsettias, being native to Mexico can’t tolerate excessive cold, and even fairly short lived exposure to temperatures below 10 °C (50 °F) can lead to leaf drop. For this reason, it’s a good idea to take your poinsettia home without excessive delays, to avoid exposing the plant to long periods of cold outside, or excessive heat inside a car. Once you arrive home, unwrap your poinsettia as soon as possible and place it in a bright, warm, moderately humid location, free from draughts. Poinsettias thrive best in bright, indirect sunlight. Poinsettias are native to tropical regions, so require bright light to thrive. A south or west facing windowsill, providing bright, filtered sunlight will be ideal for a poinsettia. What Temperature Do Poinsettia Plants Need? Poinsettia plants are ideally suited to the indoor temperatures of most homes of between 60-70 °F (16-21 °C). Avoidance of hot or cold draughts is essential to prevent leaf drop. Temperatures towards the lower end of the temperature range will reduce the metabolism of the plant and prolong blooming time. Poinsettia plants thrive best in slightly moist soil. The best strategy is to water the plant as soon as the soil feels dry to the touch. You should water the poinsettia enough that water drains out the bottom of the plant, but avoid watering excessively. Indoor poinsettias love a moist environment, but are also prone to root root. It is far more common for poinsettias to suffer from overwaterng than underwatering, so take care to ensure your plant is not becoming waterlogged at the roots. You should ensure that the pot your poinsettia is in has plenty of drainage holes and, if using a drip tray, avoid letting the base of the pot sit in water for a long time. 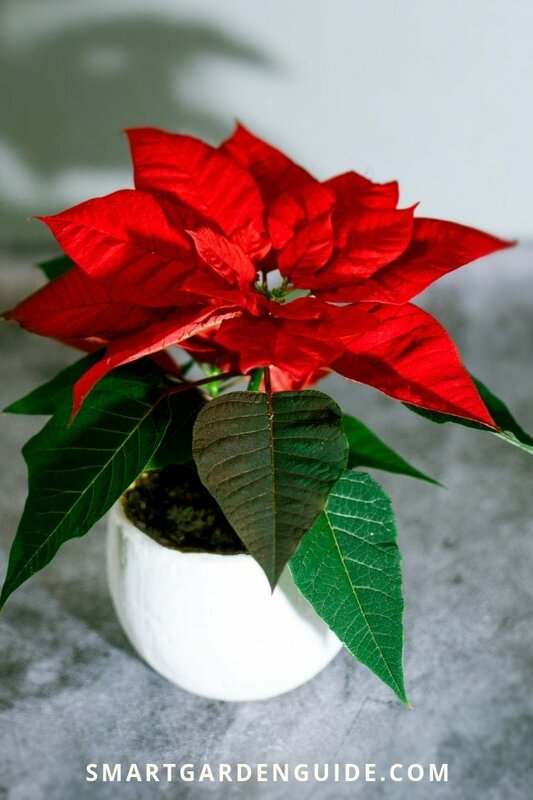 If your poinsettia came with paper or plastic wrapping around the pot, you should ensure that this does not occlude the drainage holes in the pot, or consider removing it. What Humidity Level Do Poinsettia Plants Need? Poinsettias are synonymous with the festive season, when we all have our central heating on and indoor air can become very dry. Poinsettia plants don’t tolerate very arid conditions well, so you may need to take additional steps to humidify the local environment. You may wish to try misting your plant, placing it next to other houseplants, or placing it on a wide based humidity tray, to increase humidity and keep your plant happy. Any bright location in your home will be suitable for a poinsettia. Filtered light from a south or west facing window will be suitable in most homes. If your windows are a bit leaky and prone to draughts, it may be better to place your plant in a bright position away from the windows. It’s not just cold draughts that can cause problems for poinsettias, but warm ones also. You should ensure that poinsettias are kept away from warm draughts from heating vents or radiators. Not completely necessary for those plant bought with intention of being enjoyed for the festive season. 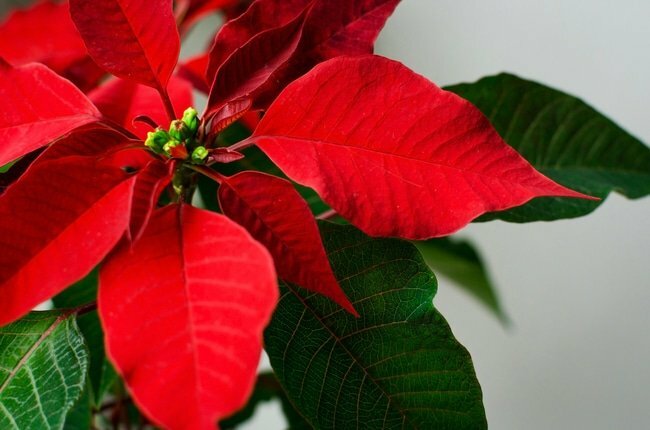 However, if you purchase a young plant early in the season, your poinsettia will thrive better by feeding with a general purpose, water soluble fertilizer every two weeks. Poinsettias produce an irritant milk sap from their leaves and stems when cut. This can cause localized irritation to the skin and eyes, so care should be taken when handling them. Thankfully, they are much less toxic than other varieties of euphorbia, but ingestion and contact with the milk sap should be avoided. What Soil Do Poinsettia Plants Need? If you need to repot your poinsettia, an all purpose potting soil will ideal. You should consider adding some pebbles to the base of the pot to increase drainage and decrease the risk of root rot. This is often a sign of insufficient light. It is most likely to be a problem if you purchase a young plant early in the season. 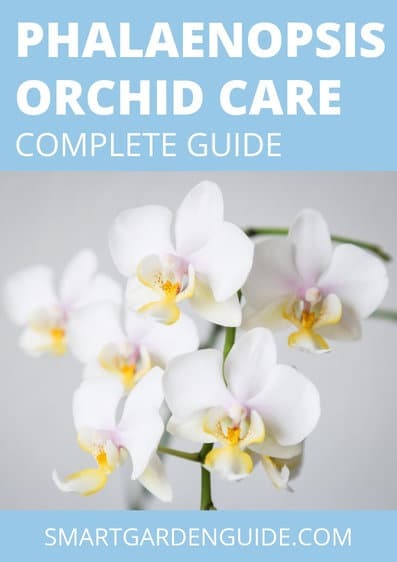 If you but a young plant, which is still developing its flowers and colorful bracts, you will need to ensure that the plant gets 12 hours of bright, indirect light each day, regular feeding every 2-3 weeks to ensure healthy maturation of the plant. Once the plant has fully matured, it can safely be positioned in a less bright location and you can halt fertilizing it. 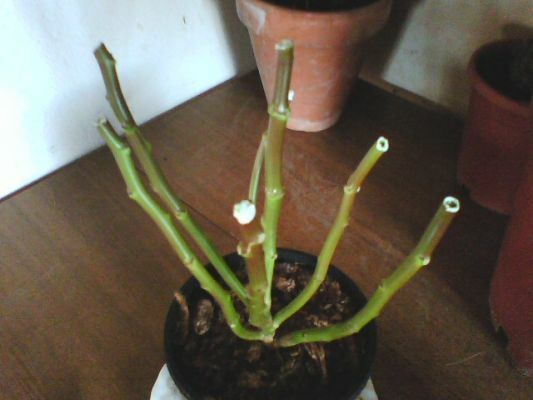 This is likely due to over-watering and root rot. It is very common for this to occur if a plant has been kept in a pot with insufficient drainage, or the pot has been wrapped in waterproof wrapping, impairing drainage. Root rot sets in if soil is waterlogged for too long, resulting in the roots being unable to access the essential oxygen that they need to respire. With dying or dead roots, the plant is unable to absorb and use the water in the soil, despite there being an abundance of it available. 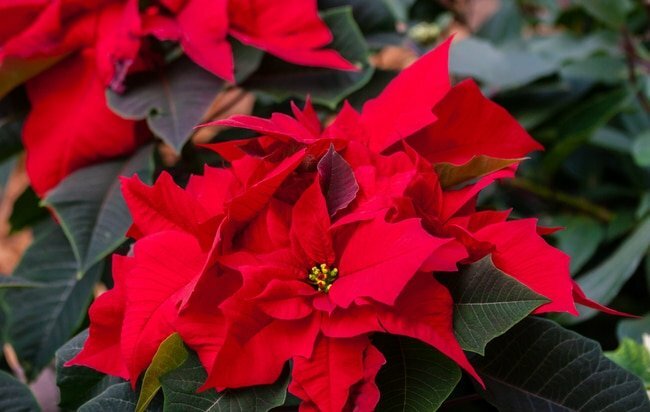 This is why Poinsettia plants often react in a similar manner when they are over-watered and under-watered, and can make poinsettia plant care a little tricky at times. The solution to this problem is to monitor the dampness of the soil of your poinsettia on a daily or alternate day basis, and only water the plant once the soil is almost dry. Poinsettias, despite being popular during the holiday season, are tropical plants, native to Mexico. They don’t tolerate cold stress well at all, even if only for a short period of time. If they are exposed to temperatures below 10 °C (50 °F), this can cause them to drop leaves and bracts. When you are purchasing a poinsettia, it is important to pick one which has been in appropriate conditions in the store. You may wish to ask an employee how long the plants have been on display, and pick one which has only just arrived, to reduce the risk that it has suffered cold stress or draughts while in the store. As mentioned previously, it is also crucial to wrap your poinsettia up to take it home to protect it from draughts and sudden temperature changes. Poinsettia plants that are exposed to excessive light will develop fading of the color of their bracts. If you identify this, you should move your poinsettia to a less bright area, although the color is unlikely to improve. A good rule of thumb is to pick a spot for your poinsettia, where a bright day will cause objects to cast soft, indistinct shadows, rather that hard, dark shadows. This is a good tip I use to pick the best location for my poinsettias. Poinsettia plants are susceptible to a number of infestations, but are most prone to whitefly. This can result in leaves gradually turning yellow before falling off. Poinsettia infestation is usually present when you purchase the plant, so the most important thing is to examine the plant closely before you purchase and bring it home. Don’t forget to look at both sides of the leaves, the stems and soil for any evidence of infestation. There are a number of ways to eradicate pests such as whitefly, including using soap solution, rubbing alcohol, commercial insecticide and pruning severely damaged sections of the plant. Make sure to isolate any plant that is identified to have pests on it, to prevent spread to other healthy plants. 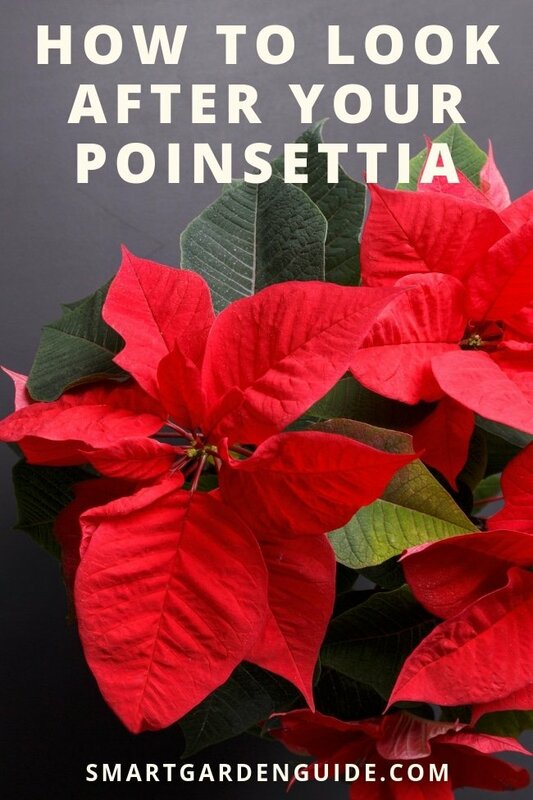 While most people purchase poinsettias for there attractive Christmas display, they are perennial plants and can be kept all year round, in the hopes that they will flower again the following winter. They are not difficult to care for during the Year, but it is a challenge to get them to flower again next Winter. I hope it’s a challenge that some of you will take up. the first thing to do to make sure that your poinsettia Care after Christmas is it excess, is to make sure that you care for the plant well during the winter, and follow the poinsettia care tips above. After Christmas, you should continue to water your poinsettia as normal until the end of March, before reducing the frequency of watering and allowing the plant to dry throughout April. At the end of April, you should prune it back to about 4 in 10 cm above the soil. A few weeks later, you should repot your poinsettia in a larger container, using fresh, well draining potting soil. Water the plant well and leave it in a bright location. Following this, you should only water the plant when the soil is dry to the touch. Throughout the spring, you should aim to expose your poinsettia to lightly cooler temperatures, of between 13 °C to 18 °C (55 °F to 65 °F). Once the outside night time temperature is consistently above 10 °C, you should move your poinsettia outside to a bright, shaded location. You can then slowly move your poinsettia into full sunlight over the course of a few weeks. You should fertilize the plant every two weeks with a water soluble, all purpose fertilizer. You will need to prune the plant back to keep it below the height you wish your mature plant to be the following winter. This should be done once at the start of July and again in mid August ideally. This will encourage the plant to become fuller and more bushy, producing a more aesthetically pleasing plant. Once night time temperatures start to fall again in September, you should bring the plant inside again, and place it in a location conducive to healthy growth. Continue to feed and water the plant on its normal schedule. At the start of October, comes the most crucial step to encourage your poinsettia to bloom for Christmas. Poinsettias are short day flowering plants. This means that flowering is triggered by long dark nights in the autumn, and poinsettias require at least 8 weeks where they are kept in darkness for at least 12 hours each day. You can do this by putting your plant in a dark room or by covering it with a box to ensure it receives at least 12 hours of darkness. I would recommend placing your plant in complete darkness from 6pm to 8am every day from 1st October to 30th November. Make sure that you provide plenty of light during the other hours of the day during this time. After the end of November, you can resume normal light conditions for your plant. At this point, ensure not to over-water. I would advise stopping feeding your plant about the middle of December as the flowers and bracts develop. With a bit of luck, your poinsettia should be blooming and looking spectacular. It may be a bit of effort, but it’s so worthwhile and very satisfying to successfully re-bloom a poinsettia.